This blown-up art will blow your mind. 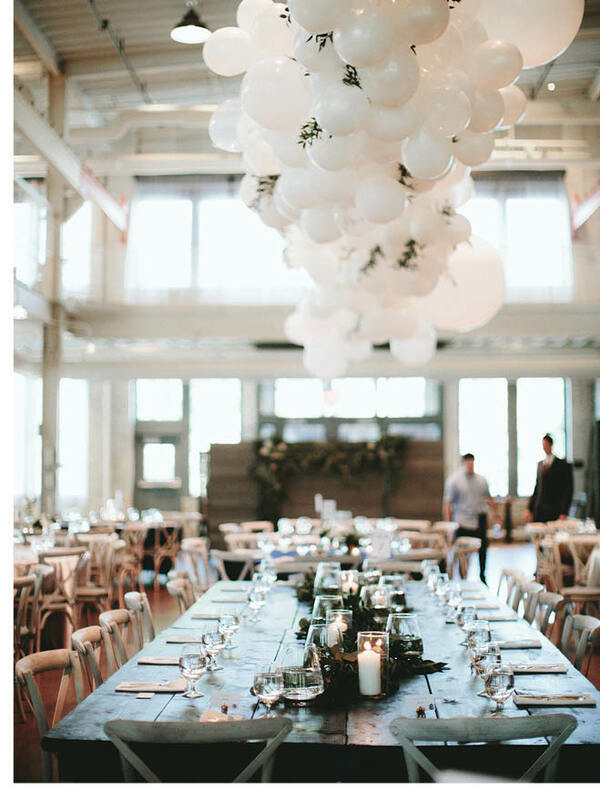 Giant balloon installations are a big trend in wedding décor, creating versatile displays for backdrops, entryways, ceilings or pretty much wherever your imagination takes you. Depending on the color, size and sculptural elements, balloons can convey everything from whimsy to elegance to a major wow factor. The sky’s truly the limit. “Couples who want to show their guests something different can use this in so many ways. A balloon installation could be the focal point of your whole event, or it could act as an accent through a photo booth or archway. There are really so many ways to use them,” says Kelly Bollis, owner and creative director of MAVEN, who recently covered a venue façade with more than 3,500 balloons. Need another reason to go big on balloons? Statement installations of balloons (which can be less expensive) mean you can scale back on flowers and other décor elements, and save a little money.